please fill in the booking request form completely. 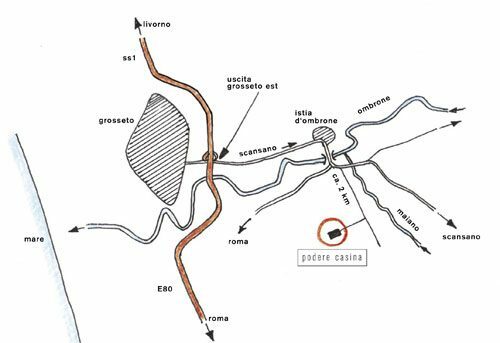 you drive along the aurelia ss1 to grosseto, exiting at grosseto est and proceeding on to scansano. you cross the river ombrone near istia, turn left at a crossroad, driving 500 m in the direction of scansano. you then take the first small road on the right and after 2,6 kilometers you will find the signpost p o d e r e c a s i n a.